Kadyn Kirkpatrick bats against West Texas A&M. 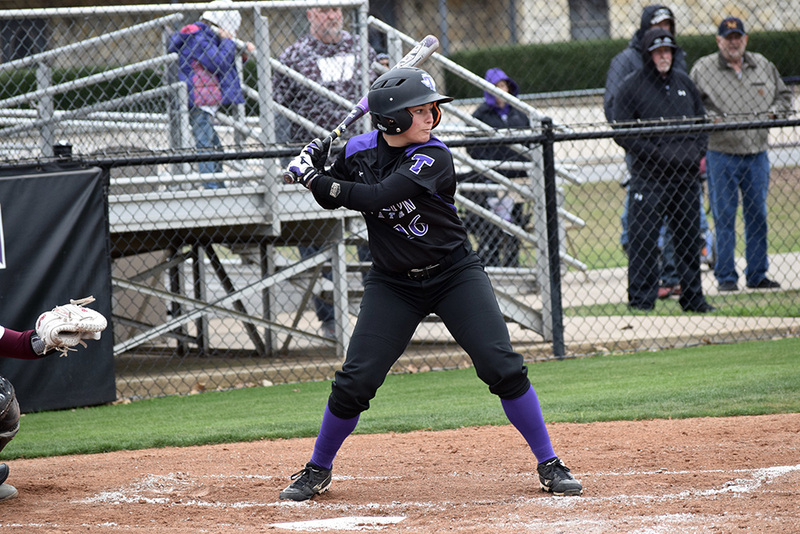 This weekend, the Tarleton State University TexAnn softball team will take road trip to Denton to take on Texas Woman’s University. The TexAnns are currently fourth in the Lone Star Conference at 13-8 and are 29-14 overall. TWU is currently sixth in the LSC at 9-8 and are 21-15 overall. 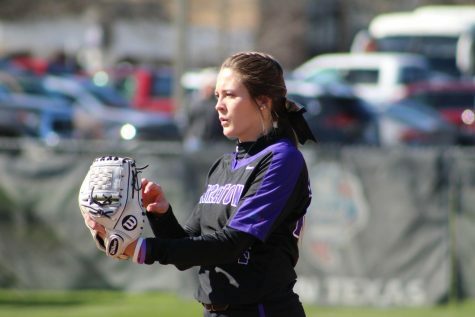 TexAnn right-handed pitcher, Haley Freyman, was named as a LSC Player of the Week for her efforts against Angelo State. ASU is currently leading the LSC, and prior to last weeks’ matches, had only lost one conference game. Freyman pitched for two shutout games against the Rambelles. Over the course of 15 batters, Freyman only allowed five to walk. 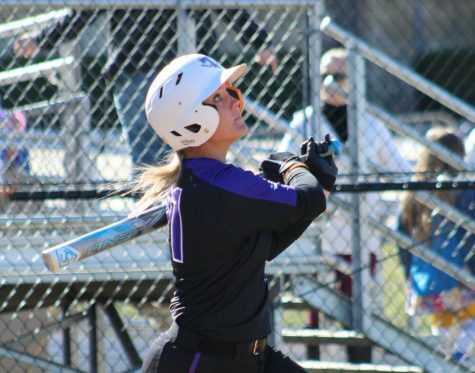 Utility player, Megan Durante, was named as a LSC Top Performer for her last week’s performance. 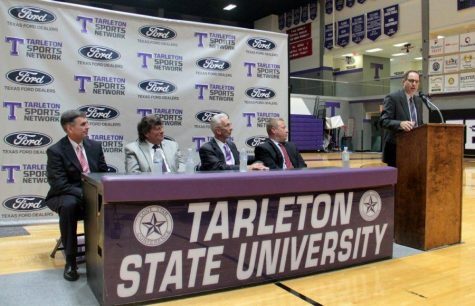 Durante helped Tarleton bring in their first ever series win over ASU. Durante was 6-10 at the plate, one run scored, two doubles along with three runners brought in. The series will begin Friday at 6 p.m. and will conclude with a double- header on Saturday at 1 and 3 p.m. 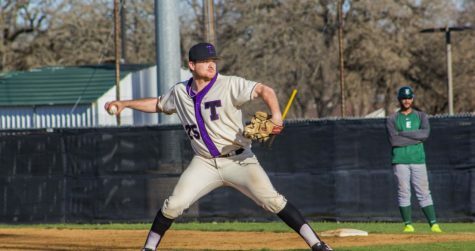 This weekend, the Tarleton State University Texan Baseball team will take on the Eastern New Mexico University Greyhounds in Portales, New Mexico. The Texans are currently 1-6 in conference play, 18-14 overall and are sitting sixth in the Lone Star Conference. The Texans are coming off a series split against the Angelo State University Rams. During last weeks’ matchups, two Texans; right handed pitcher Matt Herrick and infielder Dylan Lemons were named as top performers of the week. In the last two game of the series split, Lemons had a batting average of .462. Lemon also scored four runs and drove in three runners brought in for the Texans. During his time on the mound, Herrick held the Rams to four scoreless innings. While on the mound only one ram hit off Herrick. The Texans and the Greyhounds will face off Portales, New Mexico this weekend on Friday at 8 p.m. a double header Saturday at 2 and 4 p.m. and then the series closer on Sunday at 2 p.m.